Tiredness – does it get enough attention from businesses? As anyone who has ever run a business will know, there are all sorts of factors to consider and challenges to overcome on the way to making the venture a success. Keeping costs down, attracting clients, building brand loyalty, staying ahead of the competition – these are just a few of the issues that are likely to play on the minds of business owners on a regular basis. These are obviously big concerns, but is there a possibility that they could be overshadowing other, less obvious matters that could be having a serious impact on a company’s chances of success? 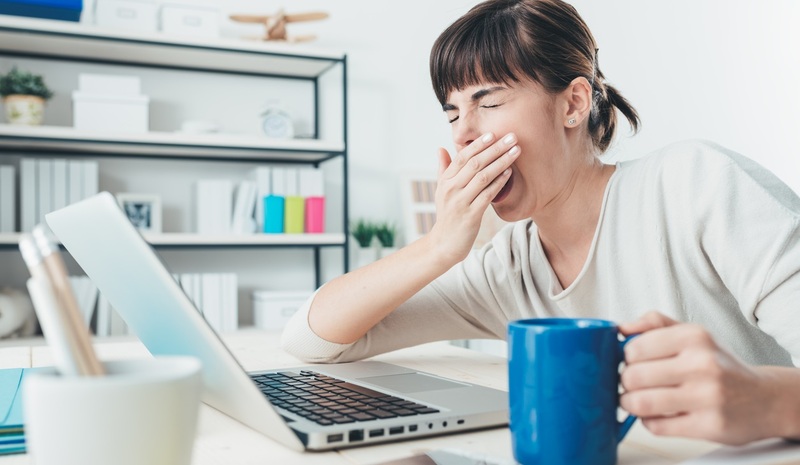 An example of such an issue is tiredness – something that is easy to overlook but, according to recent research, is affecting the productivity of businesses across the UK. Business advisory and solutions firm Willis Towers Watson released a survey showing that two-thirds (66 per cent) of UK workers believe tiredness has a negative impact on their productivity at work. More than a third (36 per cent) of respondents said they struggled to get a good night’s sleep because of their job, with 55 per cent of this group citing stressful days at the office as the main reason for their sleeplessness. The first step for businesses looking for a solution to the problem of fatigue is to recognise how significant it is, not only for the workforce as a whole but for the individual managers and leaders at the top of the organisation. Awareness and understanding are extremely important, with the Willis Towers Watson research finding that less than a fifth (17 per cent) of employers proactively educate employees about the significance of sleep in terms of general wellbeing. Mr Blake encouraged firms to try to identify potential issues before they become a real problem, adding that open dialogue with staff is “key to establishing a positive workplace culture that addresses and mitigates stress and fatigue”. New collaboration technologies and the growth in remote working may lead to some people feeling that they are always connected to the workplace, making it difficult to strike an acceptable work-life balance. The business should encourage employees to let themselves switch off and make the most of their holiday time, and that goes for managers and bosses, too. A recent survey by Aldermore Bank found that bosses in 52 per cent of small businesses took no more than five days of annual leave in 2016.